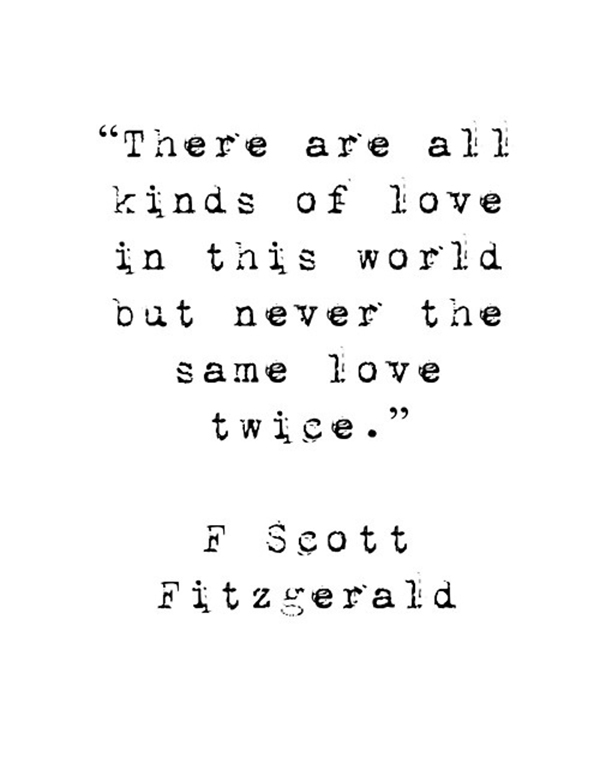 One of our brides has a sweet spot for The Great Gatsby and we are soaking things up from this story left and right. We came across the above quote and wanted to share it with you before you start your weekend. May love fill your upcoming days! WOW! So very true, there really isn't...and THAT is the beauty of love. Each new love is a learning experience!